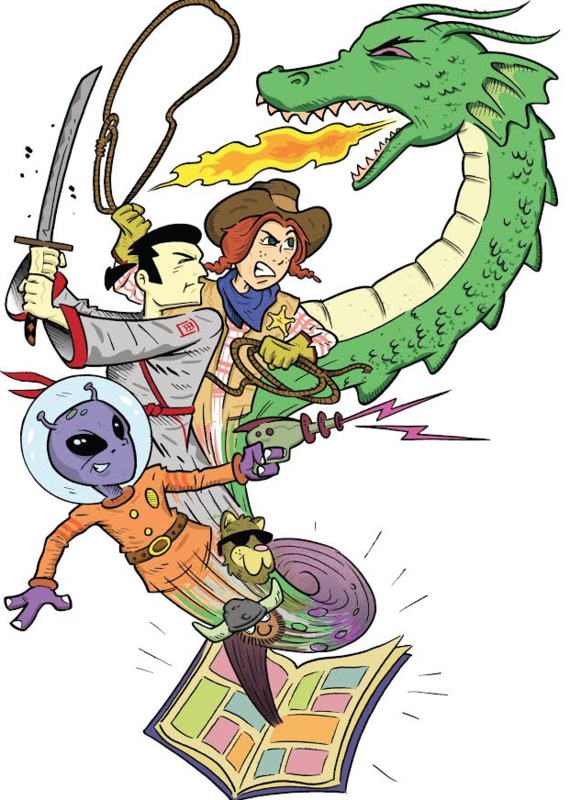 The Marin Comics Fest (MCF) wouldn’t have gotten as far as it has if it weren’t for all of the fine staff at libraries around the county who assist us with scheduling, promotion, and ensuring that our events run smoothly. We are deeply grateful for their support. Part of the aim of the MCF is to encourage people to check out their local library and discover the variety of graphic novels and stories waiting there. We’re certain that you won’t be disappointed. Simply present a valid Marin County library card and receive free same-day admission to the museum galleries (one admission per card). Don’t have a card? No problem — just visit any library branch in Marin County or click here. If you can’t make these dates or don’t reside in Marin, check out the Discover & Go program which provides library cardholders throughout the Bay Area with free and discounted tickets to local museums and attractions including the Cartoon Art Museum.